The Fusebox F1M2SPD is an in-line Surge protection unit with 100A main switch and surge protection device. 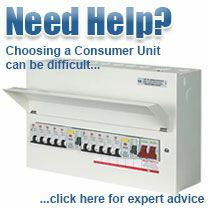 This unit is a retro fit unit external to the existing consumer unit to ensure compliance with the 18th Edition. Suitable for TN systems.